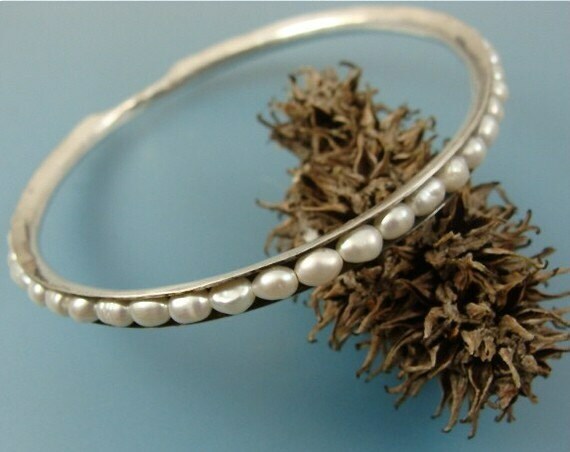 Sleek and organic this hand formed skinny bangle has white fresh water pearls cradled just under the surface. 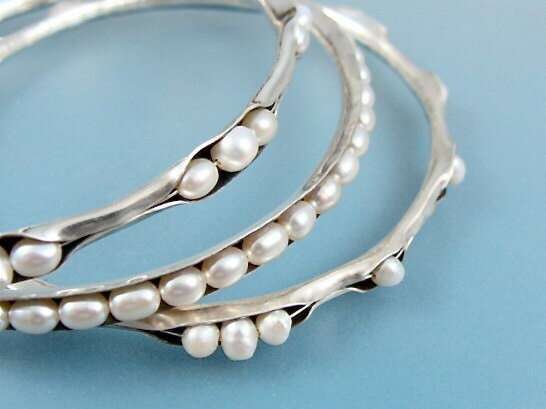 The pearls are held securely in place by sterling wire. 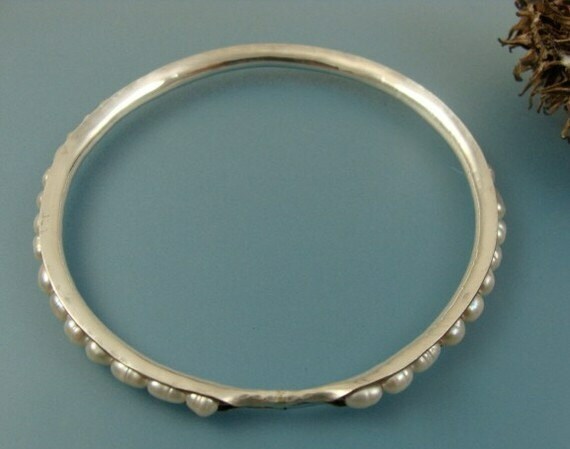 The wire has been secured under a little closed section of the bangle and then hammered to add texture. 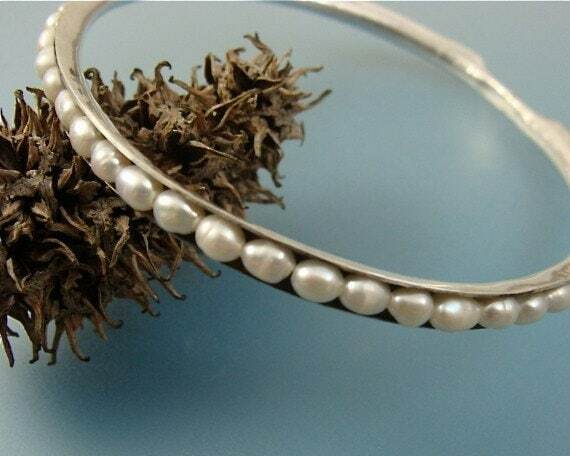 The inside of the bangle has been given a dark patina for drama, contrast and an even more organic look. Love it. It's beautiful and fits great! 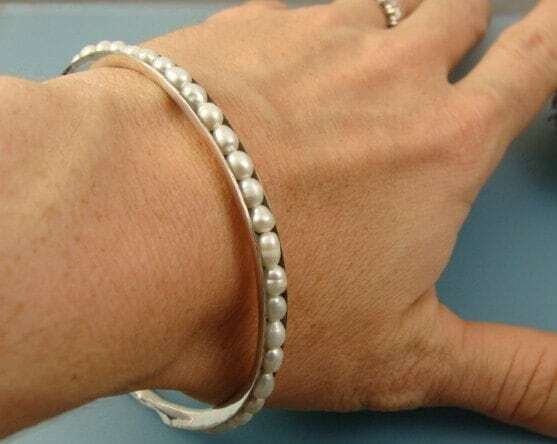 Love these bracelets - I have three now and wear them all the time.